MilitaryAvenue Partners: We want to share you on our Social Media Network. And we want to link to YOU! 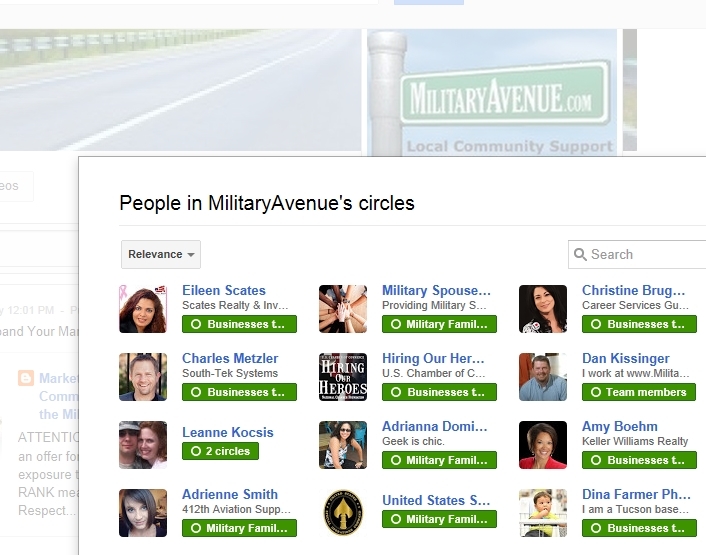 Our 'Businesses that Support the Troops' Circle on Google+ is growing. Will you be our next addition? 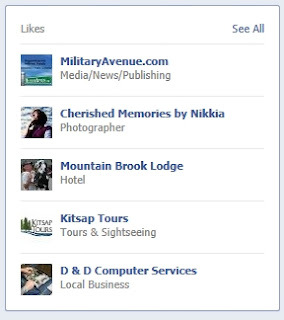 * As of 3/1/2013, not including individual Team member pages like @MilAve_Col_K, @MilAve_Leanne, MilitaryDiscounts on Facebook or MilitaryFamily as examples. ** As an alternative, if you would rather not leave a comment or are having trouble with the comment-function send an email to leanne@militaryavenue.com with this information. Hey! It's Ashley Owner of Auto Carrier Group, LLC based out of Coral Springs FL. I'm an auto transport broker on a mission to help military spouses with their car shipping needs. I have a 100% virtual business serving clients nationwide. Social Motion Media necessitates the social media preparing as well as shipping off my own meal just like a business proprietor, simplifies it, and retains almost everything consistent. As my personal chance grows along with months and designs, Organized Social networking adjusts to satisfy individual’s modifications. Some brands are just one of the numerous companies that succeeded in social media marketing while using the platform. London Social Media Management, great implementation of an idea, and difficult work, you may also be one of all of them. They ought to function as a motivation and a goal in order to business owners who desired to develop their company via social media further….